Film adaptation of Nigel Slater's autobiography. Wolverhampton,1967:- nine year old Nigel Slater loves his mother though she is a hopeless cook, her finest offering being toast whilst he has great culinary aspirations. When she dies of asthma Nigel is left with a distant father but worse is to come when the 'common' Mrs. Joan Potter arrives as the Slaters' cleaner. Nigel fears,rightly,that her aim is to be the next Mrs. Slater and soon he has a new stepmother and is whisked away to the country. Joan is,however,a superb cook but this only makes for rivalry as Nigel,the only boy in his cookery class at secondary school,competes with her to find the way to his father's heart. A weekend job in a pub kitchen introduces Nigel to an older boy,another great cook and gay like himself ,who gives him the confidence and inspiration to leave home after his father's death and head for the hotel kitchens of London. 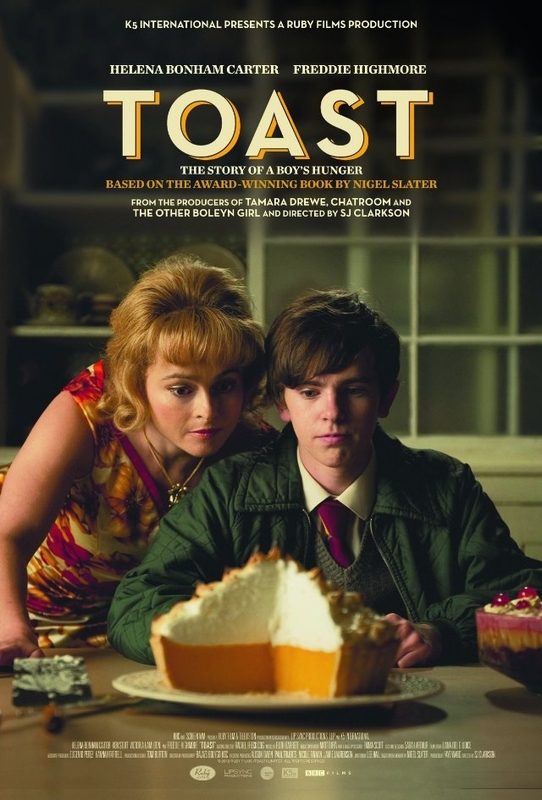 The film focuses on Slater's love of food, his childhood, his family relationships (his mother died of asthma when he was nine), and his burgeoning sexuality. Slater has called it "the most intimate memoir that any food person has ever written".